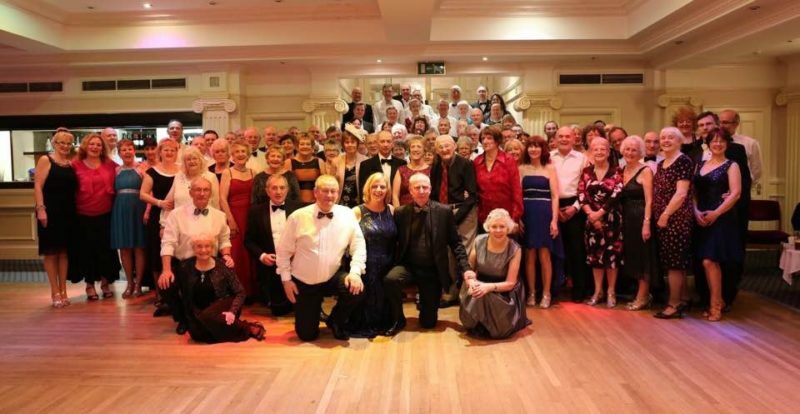 What a great weekend (3rd-5th March ) we had with Elaine’s Dancing School at the Victoria Hotel at Torquay to celebrate the 20th anniversary at the Hotel. There was a fancy dress on the Friday night, with the theme being ‘your favourite holiday’. There was a variety of costumes and some great ideas. Pre dinner drinks were served in the beautiful Warwick Ballroom and everybody had a good laugh with plenty of photos being taken. After a lovely dinner we all went back to the ballroom for some great dancing and the music was played by Elaine and John. After breakfast on Saturday morning we met in the ballroom for two workshops, which was taken by Richard Still and Morgan Hemphill who are fifteen times UK Ten Dance Champions. The two dances they taught was the Tango followed by the Cha Cha Cha, Richard and Morgan described the dances in a clear and precise way so everybody could pick up the routines to a good standard. The afternoon was free to enjoy the hotel facilities or have a walk around Torquay. Saturday evening was black tie night and a ‘Glitter Ball” We celebrated twenty years of Elaine’s Dancing School going to the hotel with a drink compliments of the Hotel. We were entertained with the wonderful music of Sid Gateley during the evening, and we were treated to a great demonstration of three ballroom and three latin dances, by the fifteen time’s UK Ten Dance Champions Richard Still and Morgan Hemphill. We would like thank Richard and Morgan for giving up their time to entertain us with the workshops and demonstrations. Sunday morning Elaine and John went through the routines and also taught a new sequence dance. The dancers went home after enjoying a great weekend very tried and happy and saying what a fabulous weekend it was. Some guests stayed the Sunday to unwind and recharge their batteries. It was a full action packed weekend of laughter, dancing and socialising. We would like to thank all our pupils for their continued support and hope they enjoyed the weekend as much as we did. We would also like to thank Jenny Smith for the wonderful photographs. Also to the Staff at the Victoria Hotel for looking after us all so well. Take a look at our gallery. We are already booked in for 2018 on 2nd March. The booking form is on the website. Make sure you reserve your place early so you won’t be disappointed.